By default windows operating system has double click set as a method to open file and folders. But, that does not mean that its a universal choice. Many people tend to prefer single click file or folder opening method. They just want that file or folders should open instantly as they click it. So, here in this article, you can figure out how to set single click folder opening in windows 10. 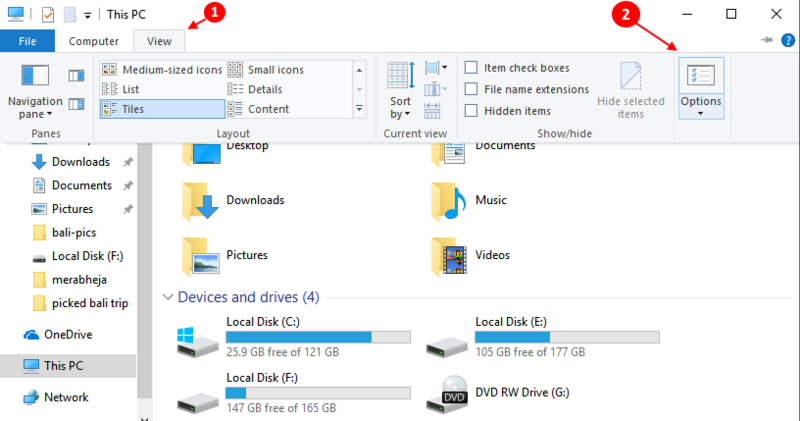 Step 1 – Go to file explorer by opening This PC or My computer. Step 3 – Now, choose single click to open an item as an option. Note: – You have two options when you choose single click to open items on windows 10. Underline icon titles only when i point to them. The second option is chosen by default. In my opinion, the default 2nd option is better as underlined titles will not look aesthetic and also once you point the cursor over the folder, it will indicate that the cursor has reached the item and will be user friendly also. But, the choice is yours. 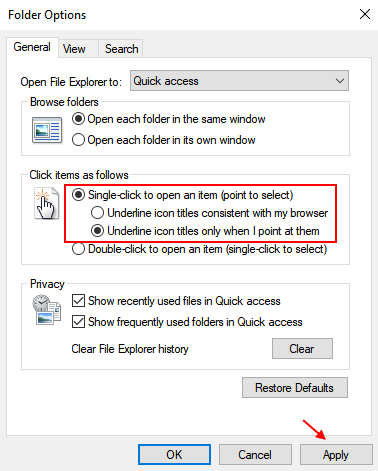 So, this is how to enable single click file and folder opening setting change in windows 10. Hope you liked the article.